When I was an adolescent circa end of the 80’s / beginning of the 90’s, I owned the best computer available at that time: the mighty Commodore Amiga 500. It was powered by a 16/32 bits processor (the Motorola 68000) at 7.14MHz and four coprocessors (Gary, Agnus, Paula, Denise), had 1Mb of RAM, had 4096 colours on screen at once, had stereo sound, ran a powerful operating system featuring a graphical windowing environment and was very well technically documented. As a result, I spent many nights learning programming (BASIC, C and 68000 Assembly) on my Amiga 500. Twenty years later and I still like using the Amiga. But now it’s in software form. I run E-UAE which is a Ubiquitous Amiga Emulator. I run it on my Linux Mint PC and performance is fine (the PC is only 1000 times quicker…) I even love getting a Guru Meditation from time to time. This brings back a lot of memories. I didn’t play Prince of Persia a lot. 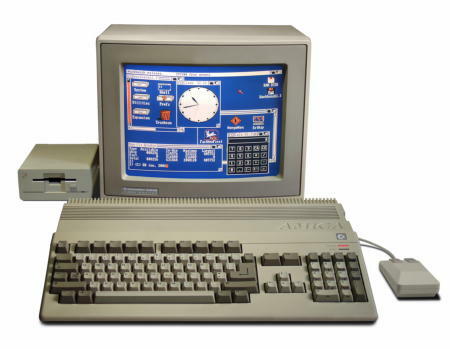 I had a PC before the Amiga. It ran MS-DOS 3.2 and I played games like Frogger and Karateka (the ancestor of Prince of Persia) on it. Then I got the Amiga around 1989 and I discovered games like Kick Off, Sensible Soccer, Eye of the Beholder, Monkey Island, etc. But, to be frank, I was more of a geek than a gamer so I programmed a lot too. Computers are very powerful in terms of calculations. But computers use only 0,1 and +. Can you enlighten me on computer arithmetic please. I have heard that you have a great knowledge in programming languages. Can help me in that case? 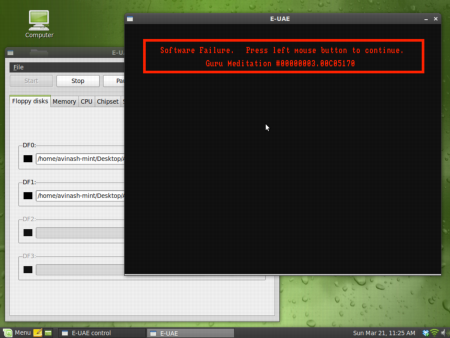 Could it be possible to change encryption codes in sun wireless toolkit for cldc 2..5.2. I’m using the software to configure the encryption in bluetooth but I’m stuck. Sun wireless has a feature in which bluetooth can be emulated, but the problem is accessing the codes and changing the default encryption. I’m planning to use the one-way function encryption used in php. Can you please help me? I don’t know a lot about Connected Limited Device Configuration though… I guess your best bet would be to ask someone from the Java ME community… Sorry for not being more helpful. dammit!! i was born too late!! i used play karateka on my cousin win95, i was just a kid but i remember that particular memory really well!! Windows is a good operating system… for secretaries! Geeks need more control. That’s why geeks tend to love Linux or even Mac OS X with its BSD underpinnings. Last night at 1 in the morning, I was having some fun with a Debian Linux virtual machine running in my current Fedora Linux laptop and I was telling myself how cool those technologies would look to 16-years old kids. Pity most of them won’t ever know those things. My next LCD TV, possibly?